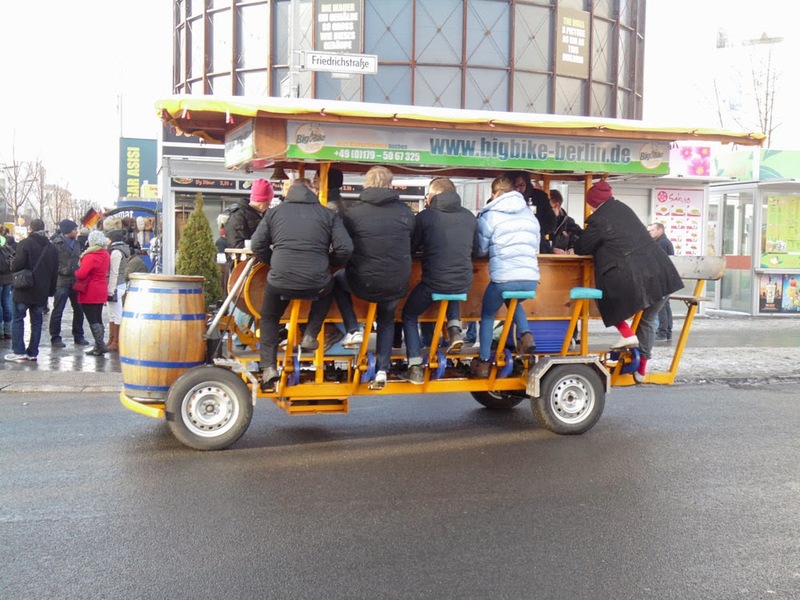 It is one way to see Berlin I suppose; peddling along on a portable Bierkellar. 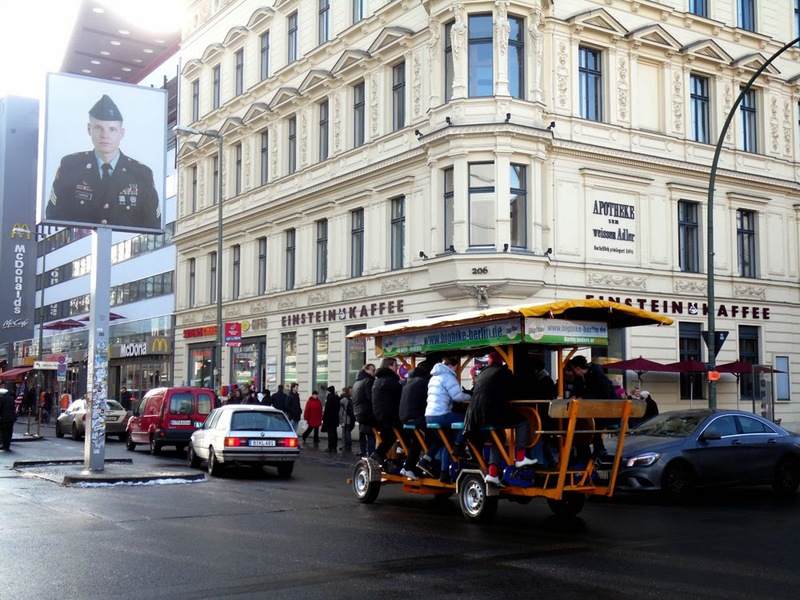 Most of the major cities of Europe have beer bikes, but there is to me something unique and poignant about seeing one cross the former East to West Berlin border at Checkpoint Charlie. 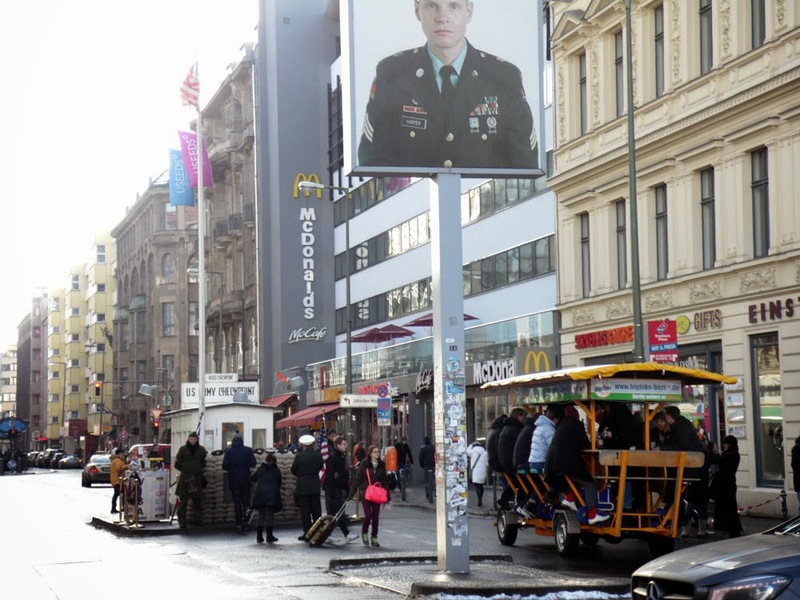 That's a place where well within living memory you would have been stopped and your papers checked (and may be turned back) by stern-faced armed guards.